Our September/October issue features amazing recipes using the Japanese eggplant, which can be perfect if you are looking to replace meat in some dishes. This is just one of the recipes included. Be sure to pick up the issue on newsstands! In a bowl, place eggplant, tomatoes, and zucchini. Drizzle with olive oil, salt, and pepper, tossing well. Meanwhile, in a small bowl, mix olive salad, pepperoncini peppers, parsley, and mayonnaise. Cover and refrigerate until ready to use. Heat grill or grill pan to medium heat. Remove vegetables from oil and brush bread halves with oil on both sides. Grill sliced vegetables on both sides until cooked and well marked. Remove from heat. Place bread halves on grill and lightly toast on both sides. Remove from heat and place grilled bread on 2 plates. 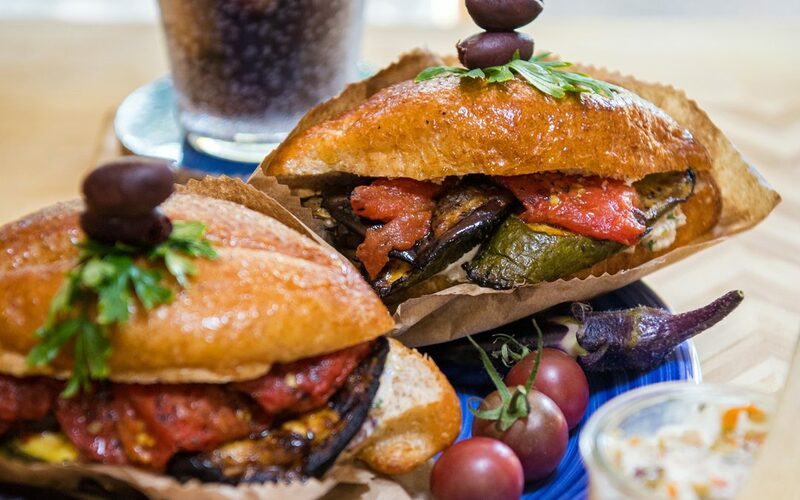 Top one half with olive-mayonnaise mixture, then layer each sandwich with grilled vegetables and remaining toasted bread half. Serve warm.